Prices below do not include sales tax. To learn about therapy packages and my loyalty program, click here. Timing below refers to your approximate time on the table, however please expect at least 5 minutes before and after your session for intake, discussion, and planning. Those with chronic pain, injuries, surgical scarring, or general "trouble spots" will benefit from Myofascial Release (MFR) sessions, incorporating deep pressure and Swedish where needed. MFR has the same goals as deep pressure massage, but reaches them in a more gentle way. It is excellent for those with low pain thresholds and has a long-lasting effect. MFR is also an excellent way to tackle pain related to physical trauma, emotional stress, or accidents. Although you will remain draped, MFR work is done partially clothed and using no oil or lotion. To read more about MFR, visit my FAQ's page. During your first session we will spend a few minutes to assess your needs, set goals, and develop a treatment plan. Each subsequent session is can then be customized to your needs from the previous session, or anything that happens in between, with the long range goals constantly in mind. All that being said, for some clients each session is a continuation of the previous with layers of restrictions being peeled away. A savings of $50, this package can be purchased at your first session. The package is good for 60 days from the date of using the first session. The intention of this package is help address specific acute issues in a short amount of time by ensuring regular visits within 60 days (at least every two weeks). It is excellent for addressing new pain, for those in athletic training, or during a stressful time that is impacting your physical health. Clients are strongly encouraged to pre-book all 4 sessions. The 24 hour cancellation policy applies and will remove a session from the package. The package as a whole expires one year from date of purchase. For a relaxing and soothing treatment that focuses on the topmost layers of muscle tissue, book a Swedish massage. Swedish uses soft, long, gliding and kneading strokes as well as rhythmic tapping, and range of motion movements for the joints. It is also an excellent way for us to become acquainted, and to evaluate your needs, and to work with you to develop your treatment goals. Heated black volcanic stones are placed on various areas of the body to help warm the tissue. The stones alone are soothing and relaxing and transmit heat deep into the body. I then use the stones as massage tools for a relaxing, deep tissue massage. This session is a perfect way to address overall tension coupled with a desire for something more intense than Swedish. Using relaxing strokes and a very light touch, a series of very specific oils will be applied to your back and feet. These pure essential oils and blends help to support a healthy immune system, a healthy emotional state, and generally impart a wonderfully relaxing and amazing experience for the senses. 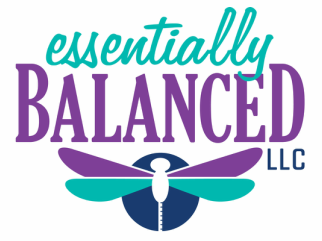 Interested in learning about essential oils? Schedule for a FREE one-on-one session with me in which we will discuss your needs, concerns, and how the oils I use are truly amazing! Free gift for scheduling!